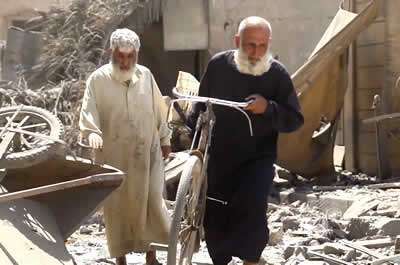 Syria Update August 11. By South Front. 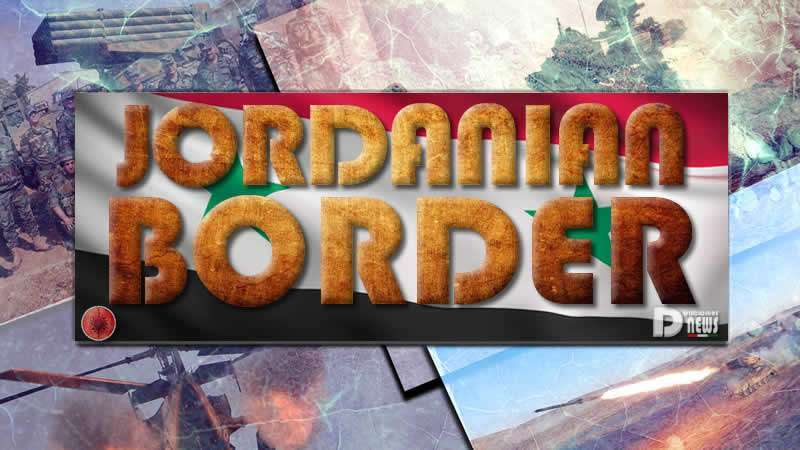 The Syrian Arab Army (SAA), the National Defense Forces (NDF), the Syrian Social Nationalist Party (SSNP) military wing and other pro-government factions have liberated from US-backed militant groups 1300 km2 in southeastern Syria, including 30 km of the border with Jordan. The recently liberated area includes Tal al-Tabaqah, Tal al-Riahi, Tal Asda, Tal al-Ezami, Bir al-Sout and the Abu Sharshouh crossing other posts and points near the border. US-backed militants withdrew to the al-Rushd refugee camp where they could hide from government forces attacks and airstrikes. According to pro-government sources, the Russian Aerospace Forces participated the SAA-led advance. This confirms that Moscow supports the Damascus willingness to regain control over its borders and to drive US-led coalition troops out from the occupied garrisons near At Tanf. IS has been evacuating its members from the key town of Maadan in the southern Raqqah countryside, according to pro-government sources. 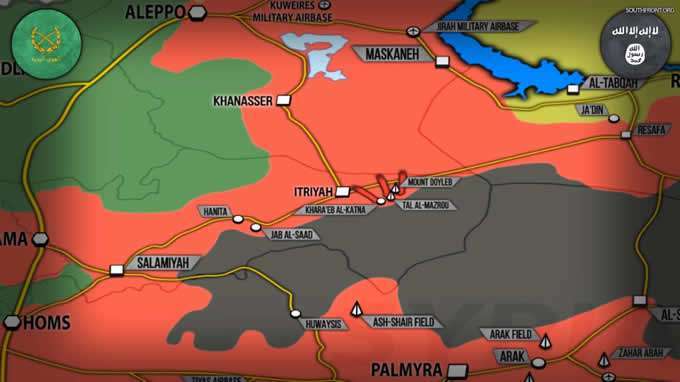 Earlier this week, the SAA Tiger Forces and tribal forces allies reached Maadan and seized a number of villages near it threatening to encircle the IS-held town. This situation allegedly became a main reason behind the reported ISIS decision. In the eastern Hama countryside, the SAA recaptured Khara’eb al-Katna area, Mount Doyleb and Tal al-Mazrou from IS. In the area of Sukhna, government forces are dismantling IEDs set up by IS in the town amid continued clashes with terrorists. IS and its suicide bombers still pose a notable threat to the SAA there but it seems that the terrorist group will not be able to take Sukhna back. The ISIS-linked News Agency Amaq published an infographic showing alleged losses of the US-backed Syrian Democratic Forces (SDF) during the 2 months of the battle for Raqqah. According to IS, 1040 SDF members were killed, 207 of them because of sniper fire, 40 SDF vehicles and a bulldozer were destroyed and a UAV was downed. IS also damaged 3 BMP vehicles and 6 other vehicles. In total, the terrorist group conducted 54 raids against the SDF, including 36 suicide vehicle borne improvised explosive device attacks. On Thursday, the Pentagon announced that a US Special Operation Forces vehicle came under sniper fire near Manbij city in the northeastern Aleppo countryside. No casualties were inflicted. Army Col. Ryan Dillon said that the US-led coalition do not know who is behind the attack. According to local sources, IS was likely behind it. 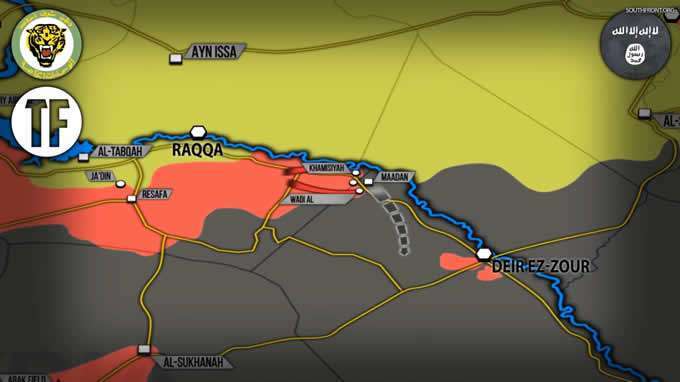 The tensions between the Kurdish-dominated SDF and the Arab population as well as the indiscriminate bombing of civilian areas by the US-led coalition create a situation when a notable number of long-standing IS supporters remain and new supporters appear in the areas formally liberated from the terrorist group. Following the formal defeat of IS, the US-led coalition will likely face an ISIS-led insurgency campaign in Syria and Iraq. The same problem that the US forces faced following the invasion in Iraq.